Located in Caloundra, Belaire Place is a 2-minute drive from Caloundra Events Center and 5 minutes from Shelly Beach. 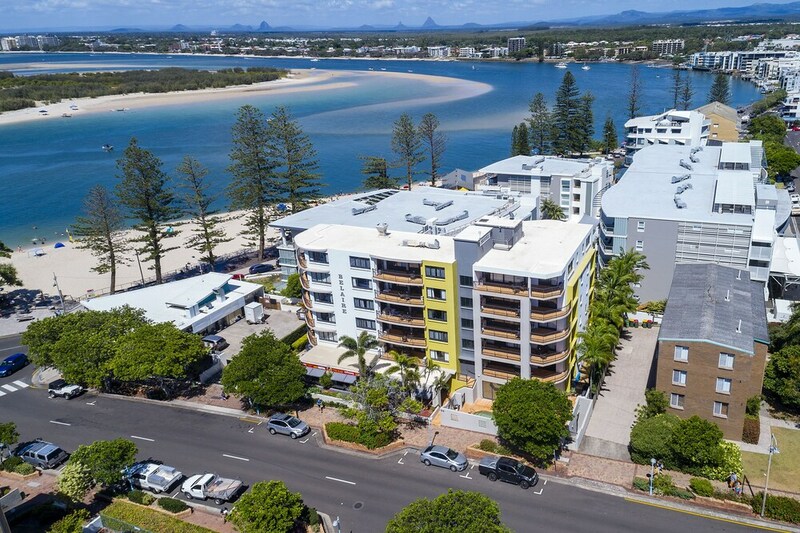 This apartment is 1.7 mi (2.7 km) from Moffat Beach and 3.4 mi (5.5 km) from Caloundra Golf Club. Make yourself at home in one of the 20 air-conditioned rooms featuring kitchenettes with refrigerators and stovetops. Rooms have private furnished balconies. 42-inch flat-screen televisions with cable programming provide entertainment, while complimentary wireless Internet access keeps you connected. Conveniences include separate sitting areas and microwaves, and you can also request rollaway/extra beds (surcharge).